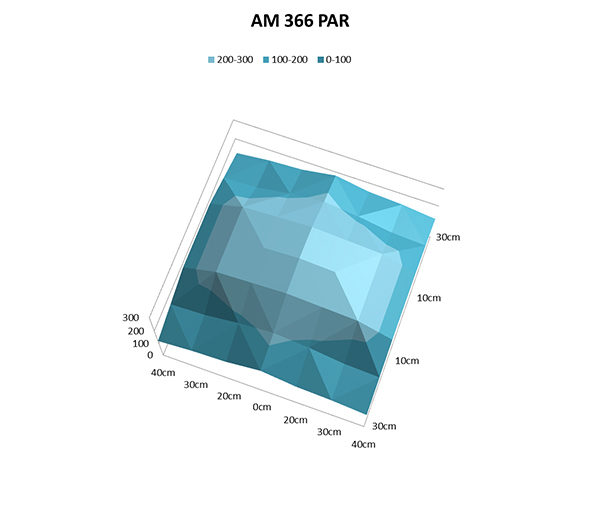 Discussion in '3reef Radar' started by Matt Rogers, Nov 12, 2012. 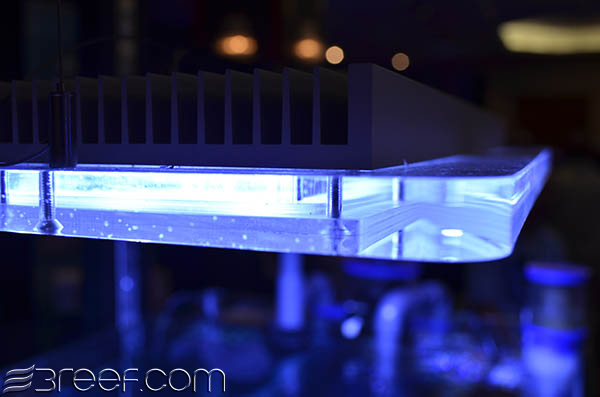 The new SICCE LED aquarium lights are attractive, low-profile 14k fixtures packed with a blend of white and 446nm blue LEDs. SICCE is taking a different approach than many others covering much of the area with LEDs running at .179 watts each rather than having fewer at higher watts allowing for better efficiency and longer life. Taking this further, this is SICCE's solution to 'curtain effect' or PAR drop off found with others, notably the Radion. 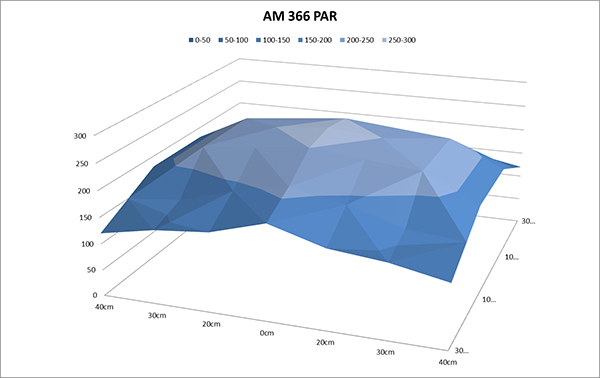 SICCE PAR distribution graphs highlight the uniform spread of >100 as far as 15.75 inches from the center with their AM336 model. More below. These are very nice looking LED fixtures. The SICCE AM 466 runs at 110 watts. 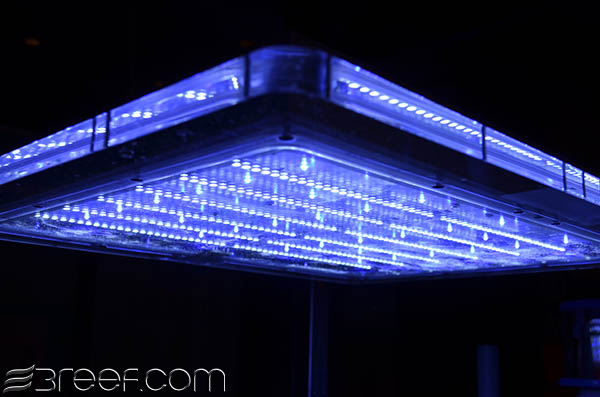 There are 392 white and 28 actinic blue 446nm LEDs. Um, that is over 400 LEDs on board. Wow. SICCE is not shy about taking on the Radion as they are using Ecotech's own GRAPH as a comparison. SICCE has even pulled out John Tullock of Natural Aquarium fame to talk about it. Perfect for tanks from 16 to 96 inches long. 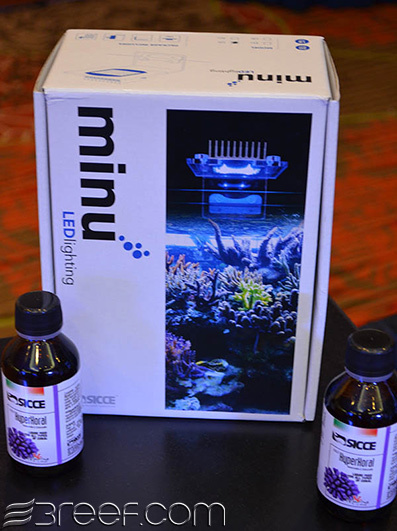 The Sicce Minu LED model has separate switches for each lighting module (blue and white). The other three models have built in sunrise and sunset modules. 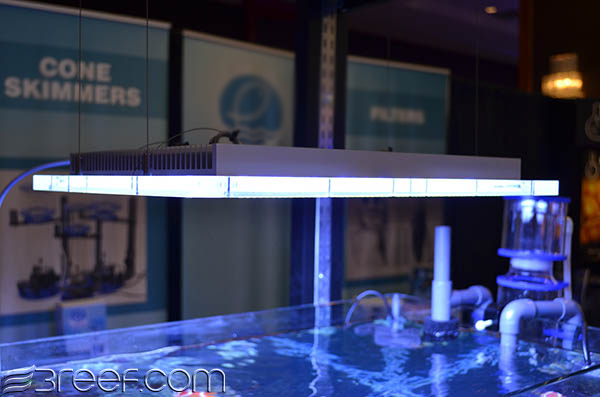 ALL of the new SICCE LED lighting systems are passively cooled. With a thin insulating layer between the board and the aluminum base, all heat is transferred out keeping the LEDs running cool. No fans, no noise. The way SICCE built these I wouldn't be surprised if they would survive a dip in the water. The LEDs and circuit board are encased in waterproof plastic. All electronics are sealed with double o-rings. I don't think humidity will be an issue with SICCE. The SICCE touch extends all the way down to the power supplies which are individually calibrated insuring the LEDs operate at optimal power. 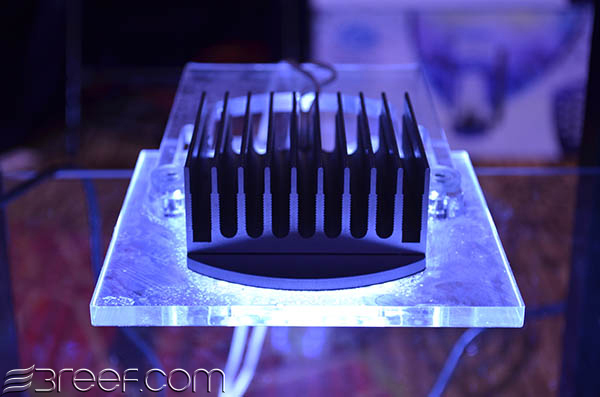 Now a lot of the above is SICCE talk but what it means to me is that SICCE didn't go for the gee-whiz flashy stuff with features, but took the build, quality control and light spread seriously to produce an LED light that will last and should perform really well. A bit like their world-class pumps, no? Who is selling these, and what's the pricing like? any idea when these will be available? price? I wonder how 3 watts of these tiny leds would compare PAR wise to a single 3 watt Cree or ES led. SICCE pointed me here. Available now. They are proud of them, aren't they. They are available now. We are selling them.